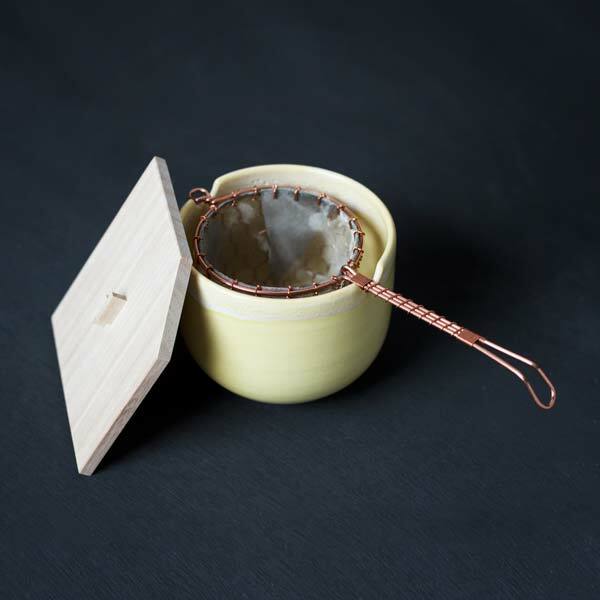 Torii Kanaami is a multi-generational family business based in central Kyoto. 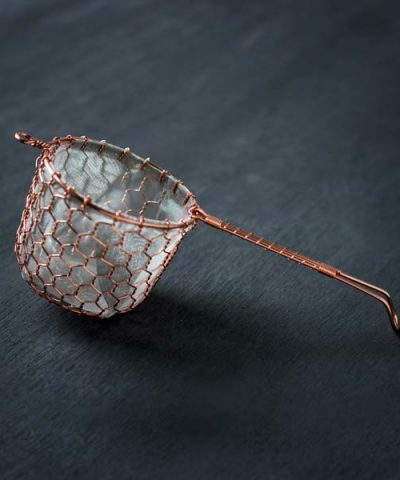 Established in 1889, they have a long history making utensils for tea, traditional Japanese cooking, and also woven netting that is used by Shrines, Temples, and Machiya townhouses throughout Kyoto. 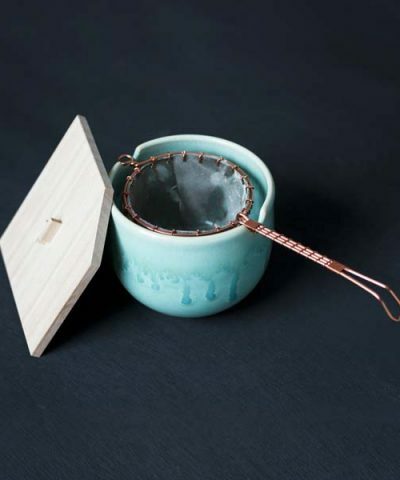 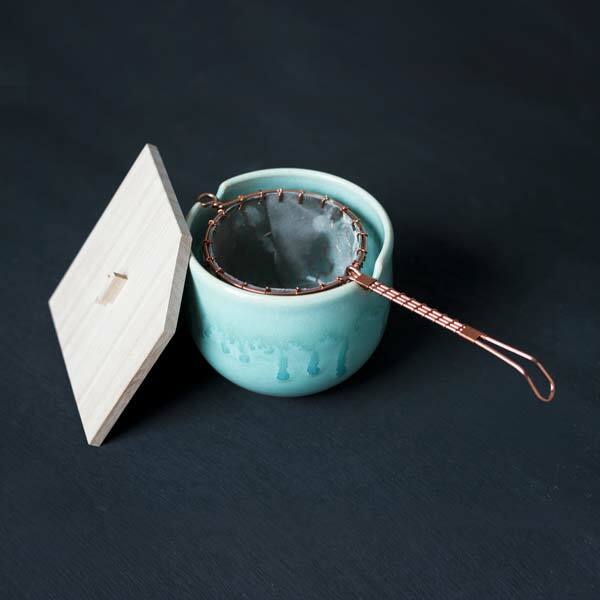 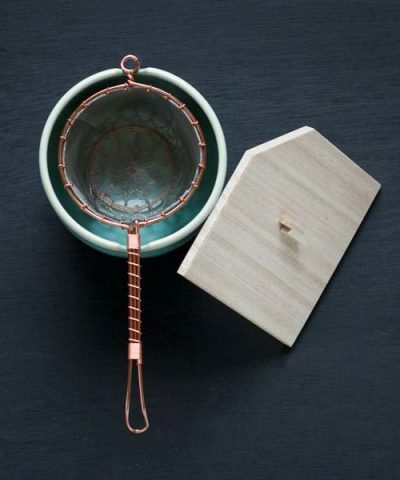 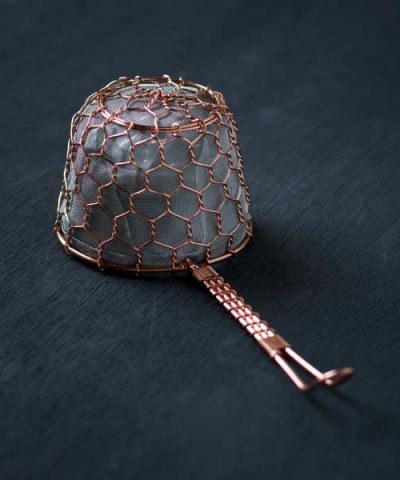 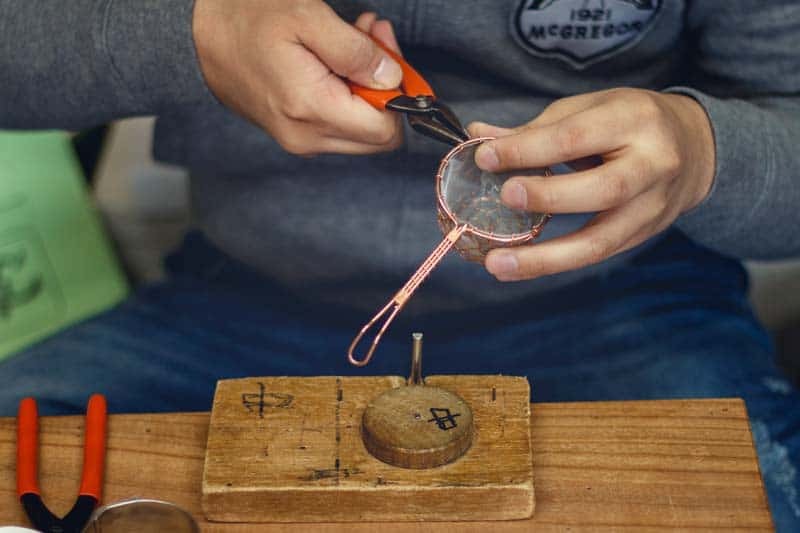 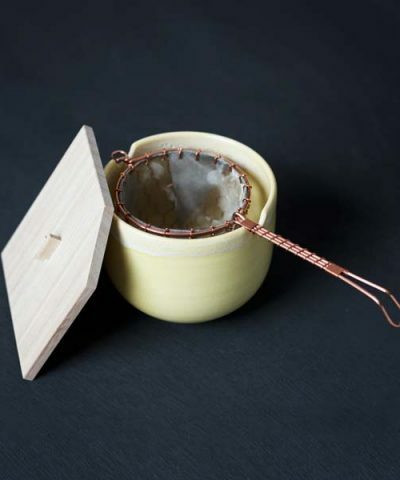 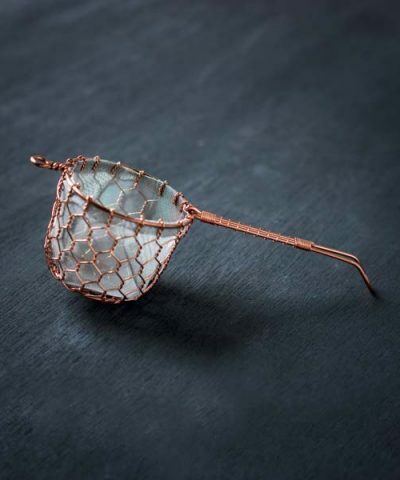 They specialise in making hand crafted utensils from copper, which are used by traditional Japanese restaurants, and ‘Chakoshi’ tea strainers. 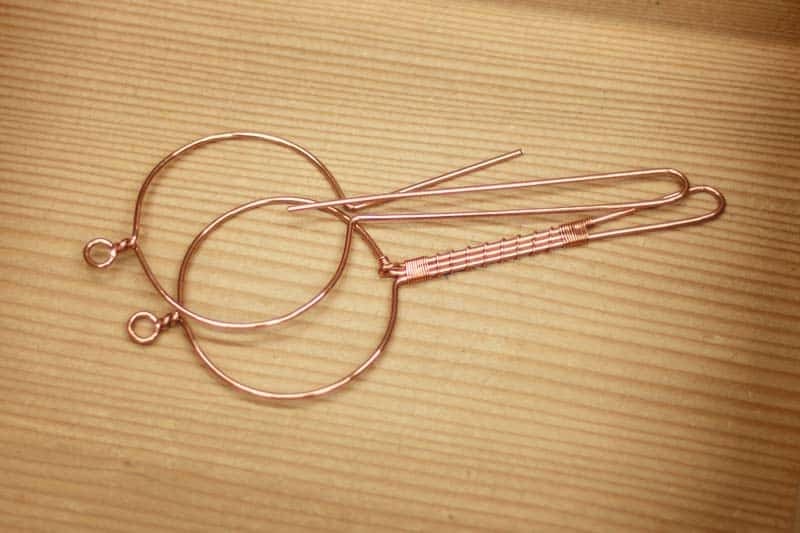 We are proud to have a range of their products available on our store. 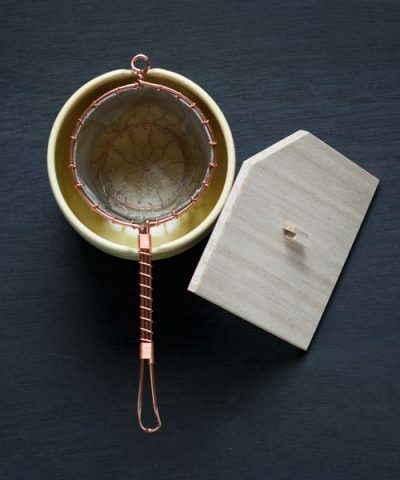 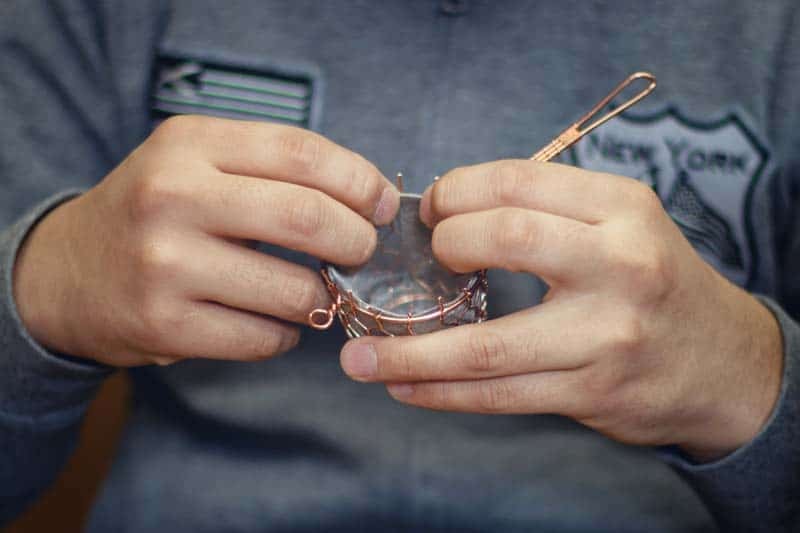 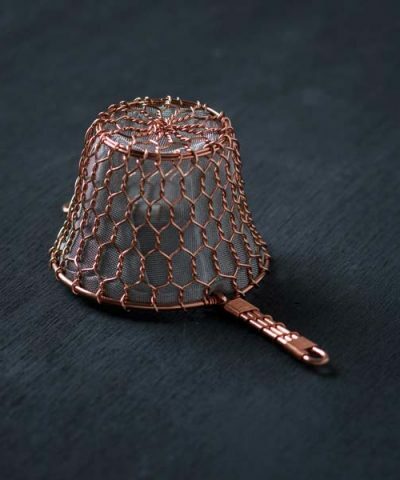 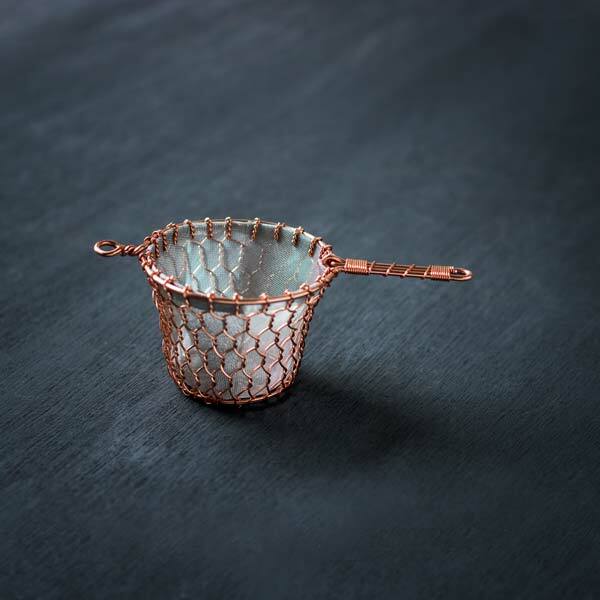 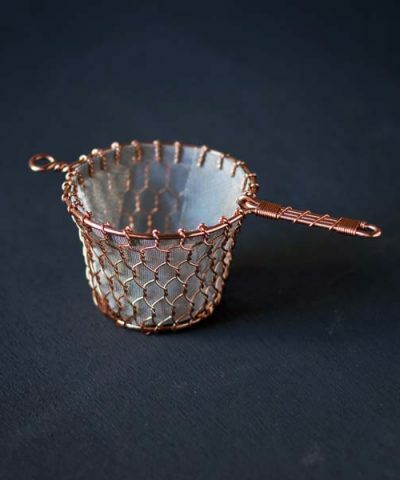 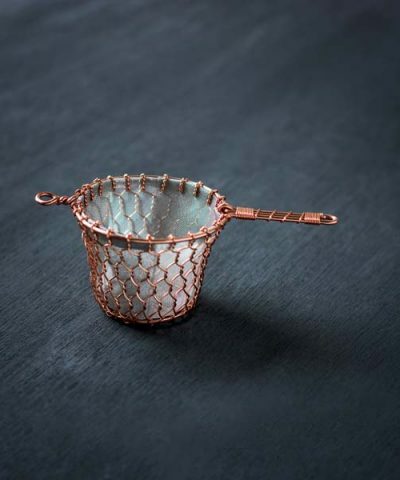 To produce each Chakoshi strainer, first copper wires are placed over a custom wooden frame. 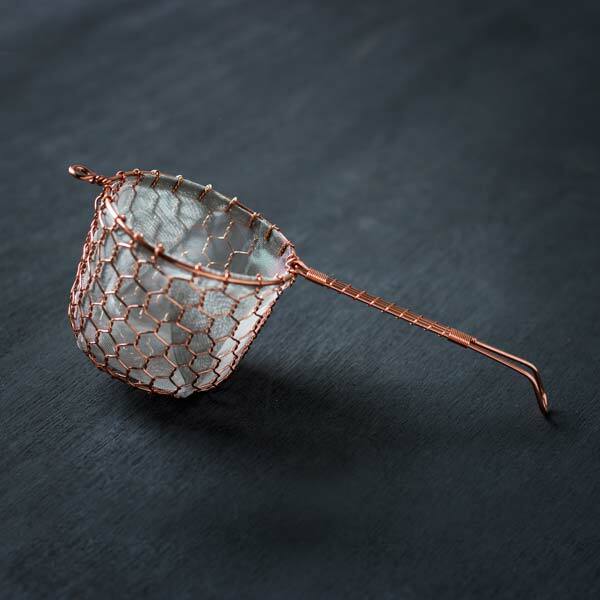 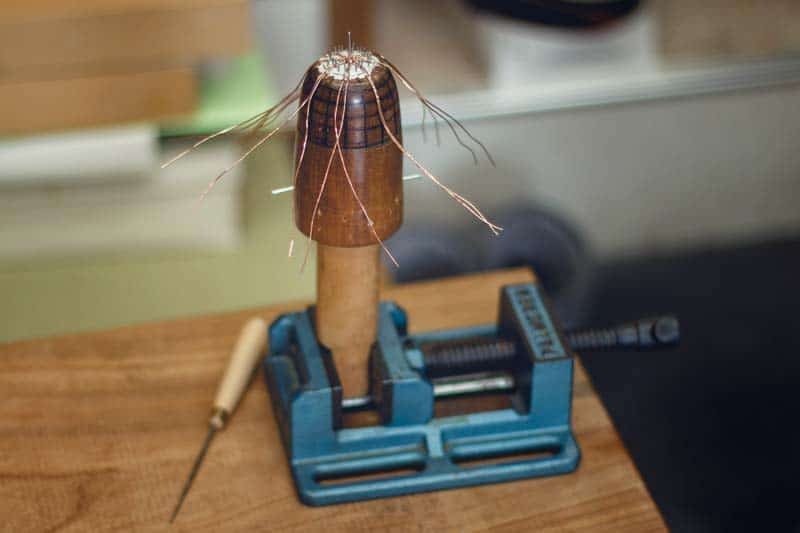 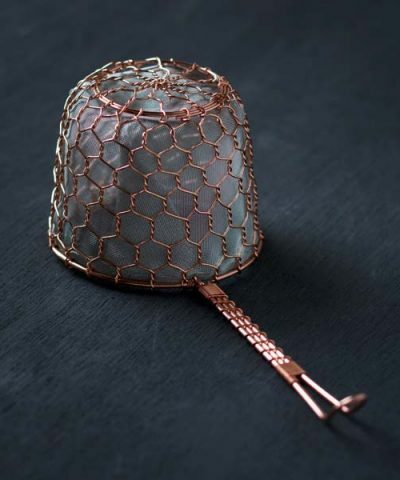 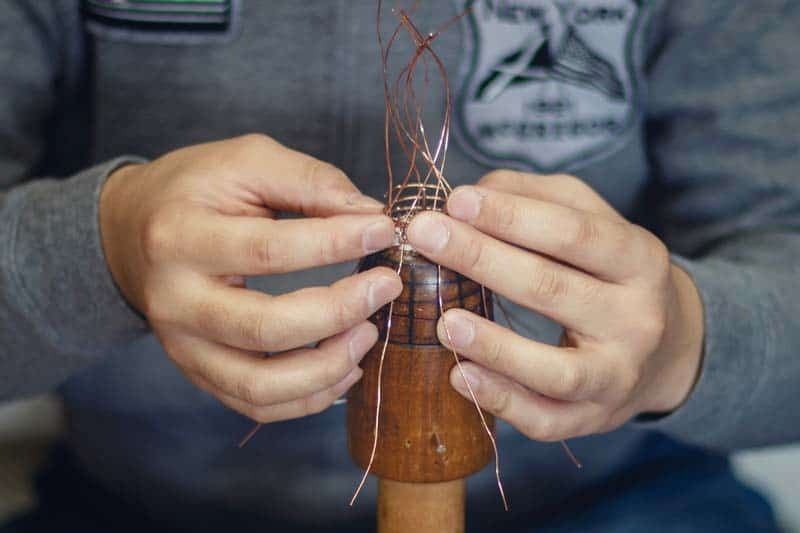 A coil of copper wire is fitted to form the base of the strainer’s basket. 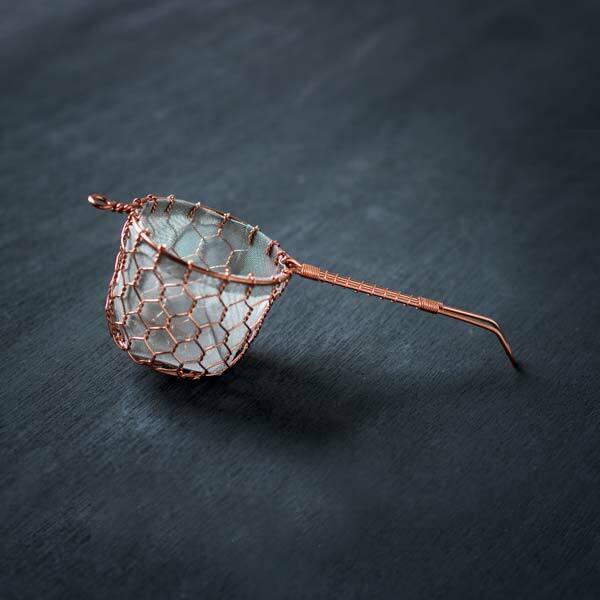 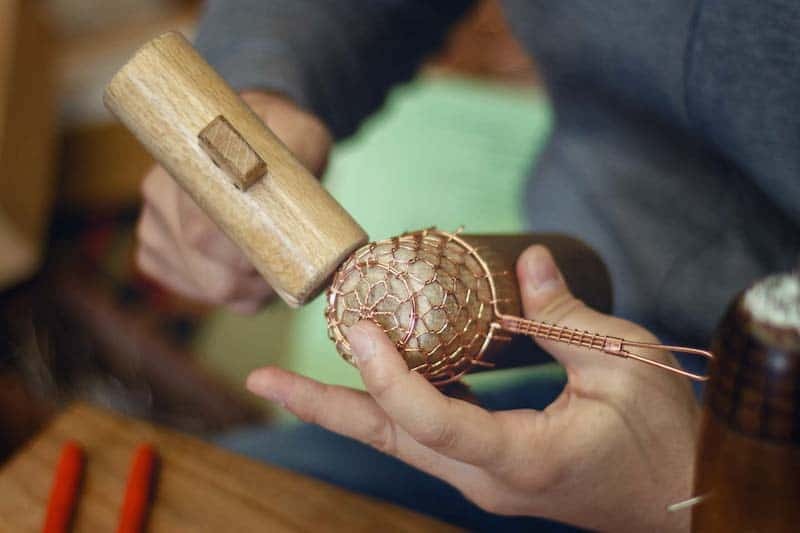 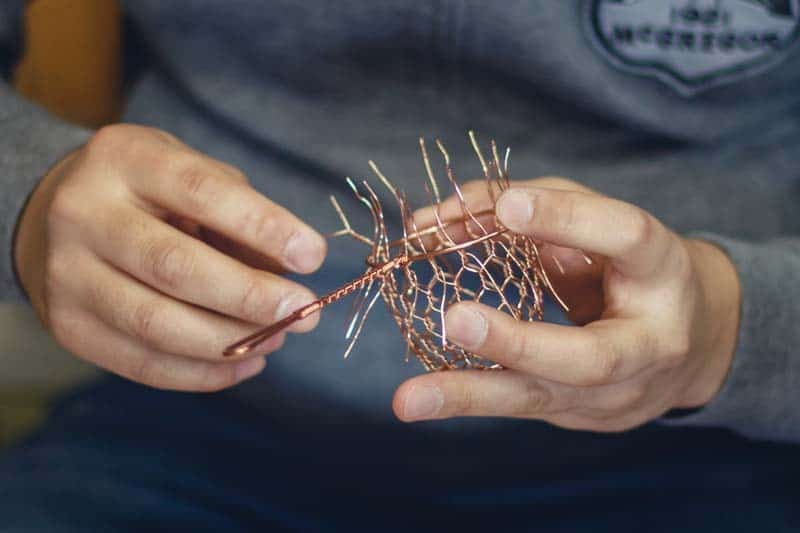 The copper wires are then woven and intertwined to form the frame of the basket. 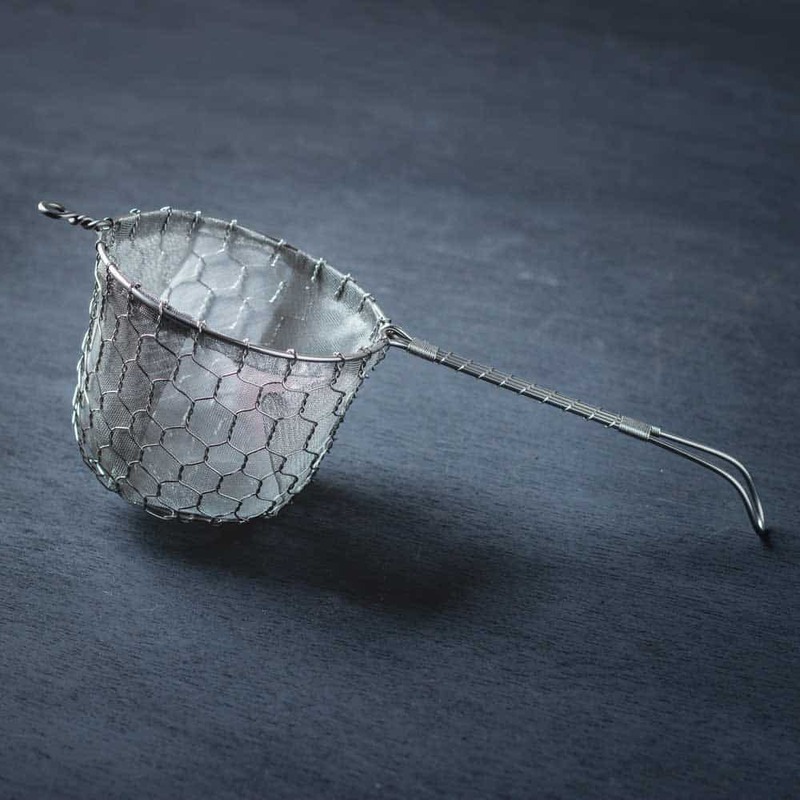 The handles for the strainer are hand made beforehand. 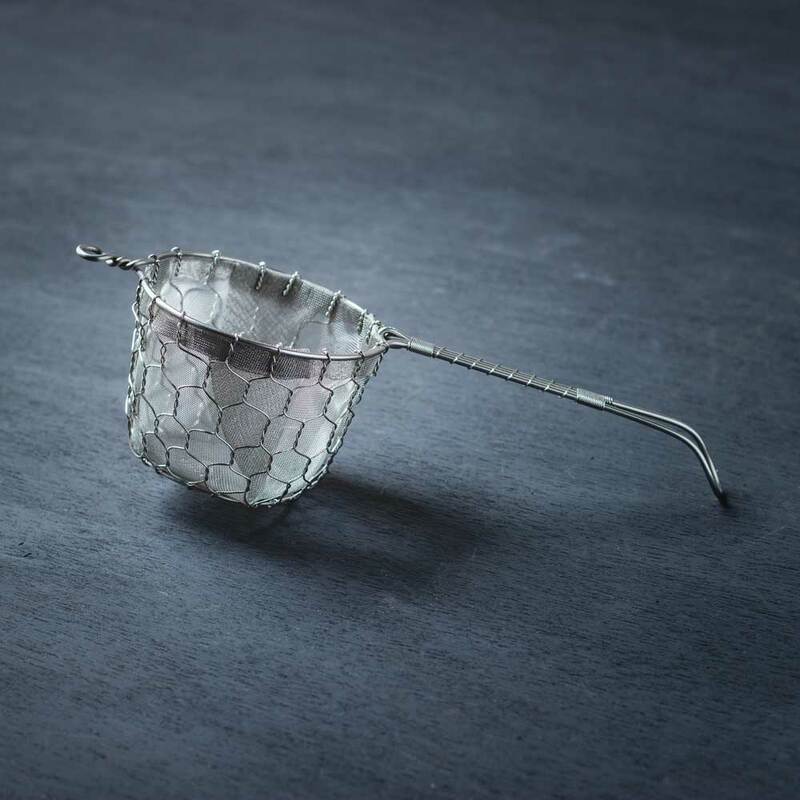 The handle and frame are then fitted to the basket and attached. 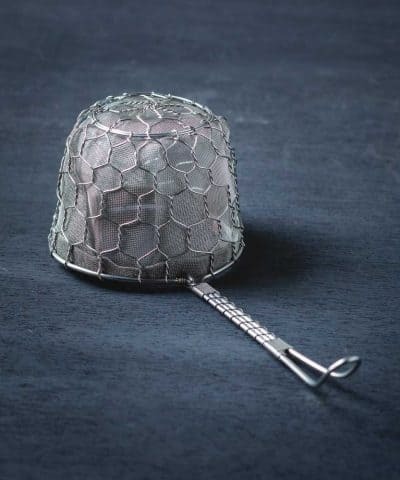 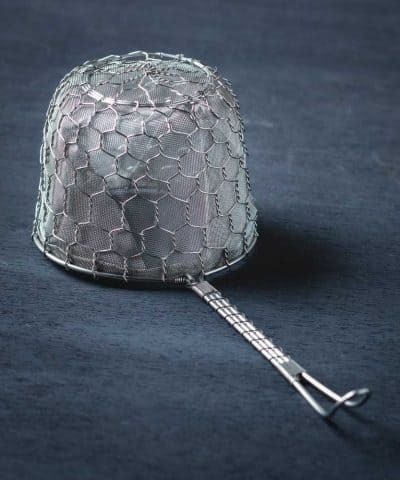 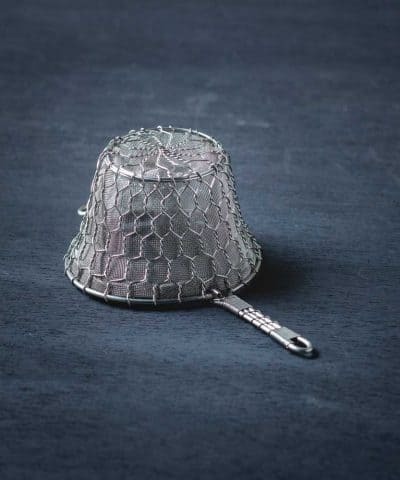 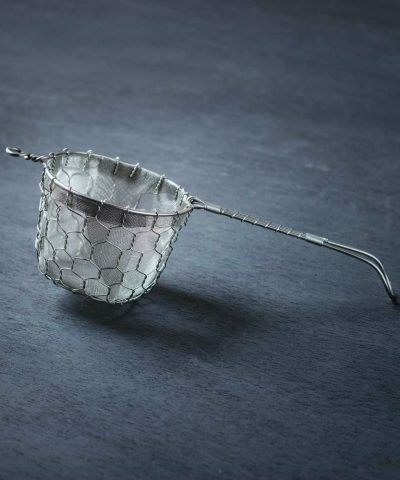 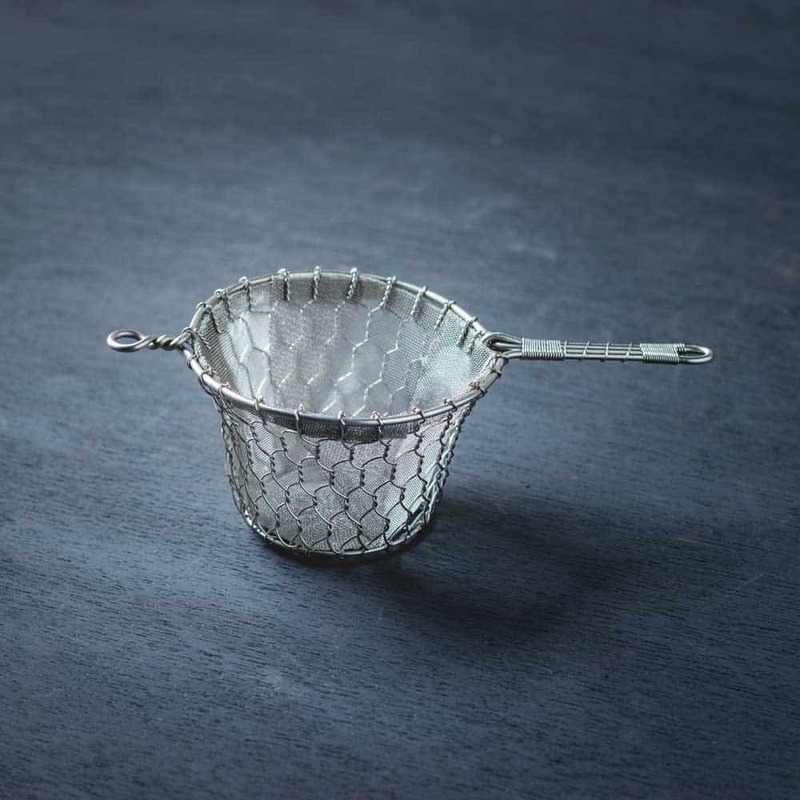 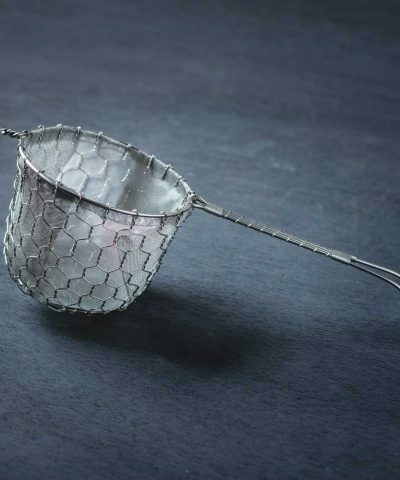 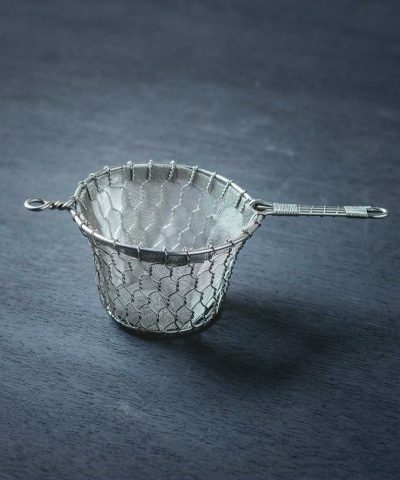 The basket of the strainer is then lightly hammered to perfect the shape. 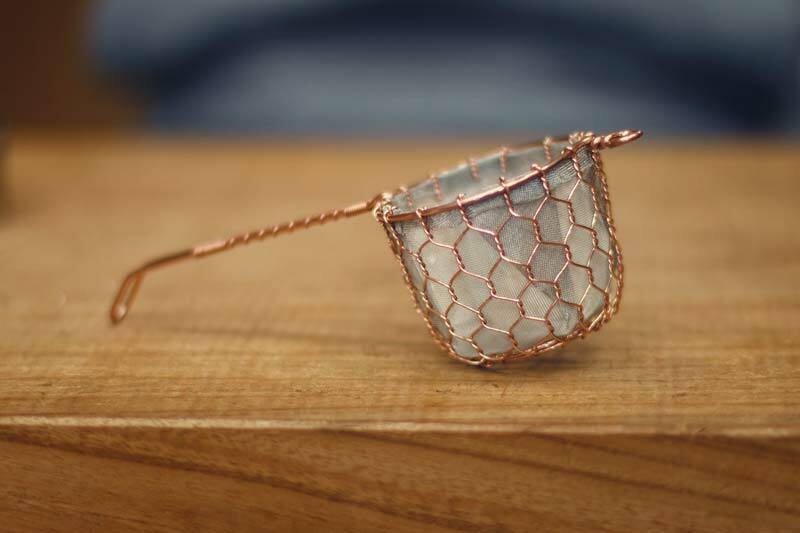 The netting for the basket is then shaped and folded. 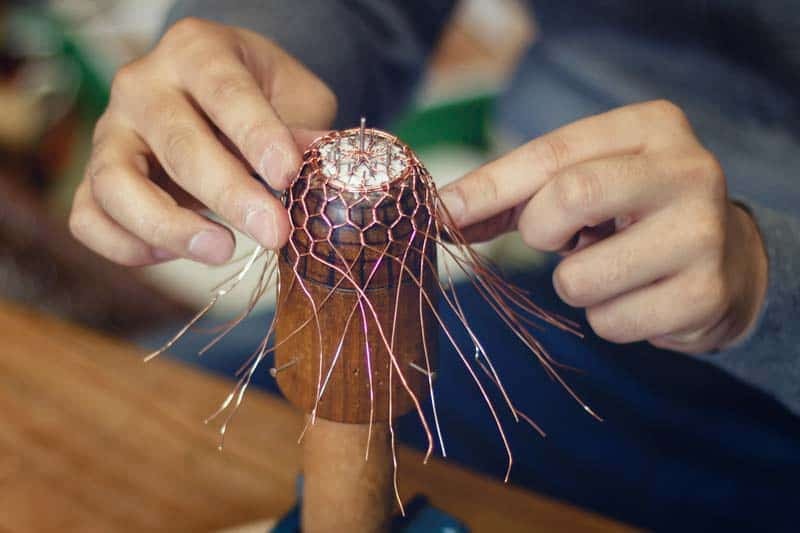 The netting is then fitted and attached to the frame. 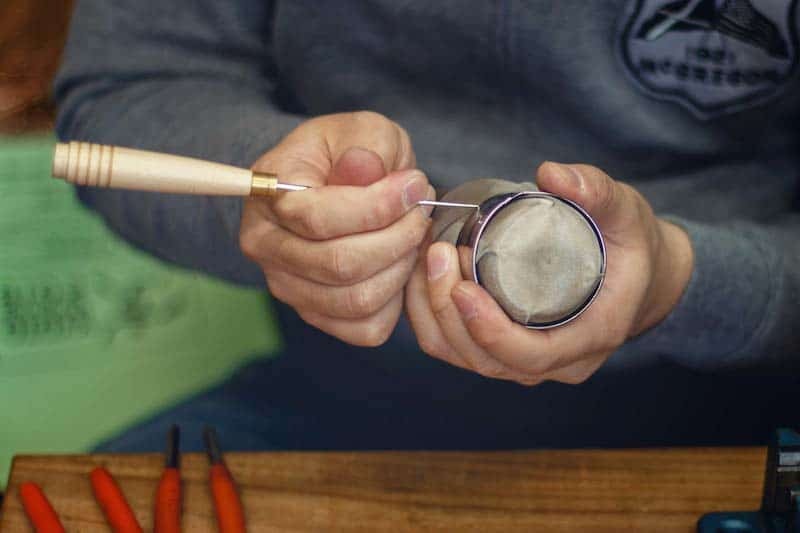 The end of the handle id then bent into shape, and final adjustments and perfections are made. 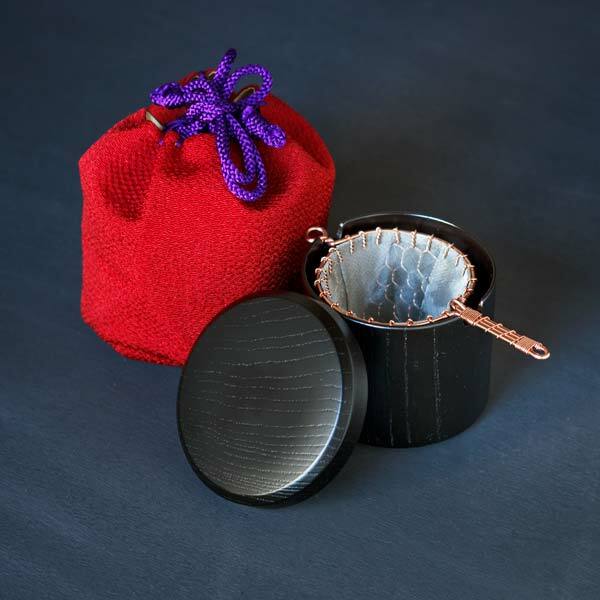 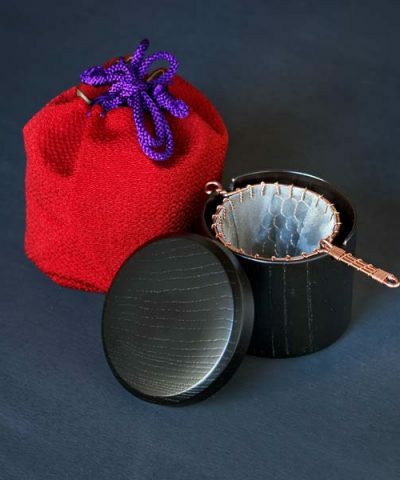 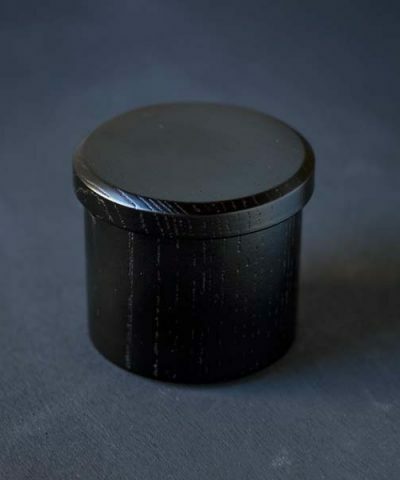 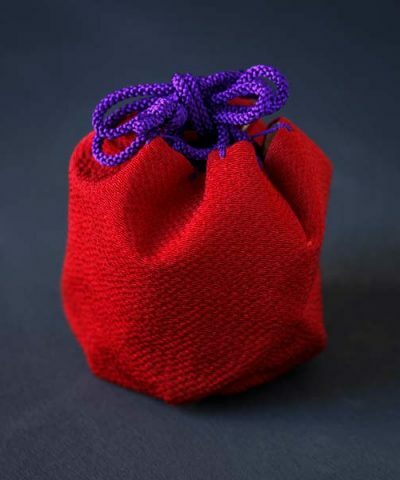 Finally, the Chakoshi is completed and ready to add some class and craftsmanship to your next cup of tea.